Vintage 1979 Photo Grand Prix Italy Monza Clay Regazzoni Williams FW07. 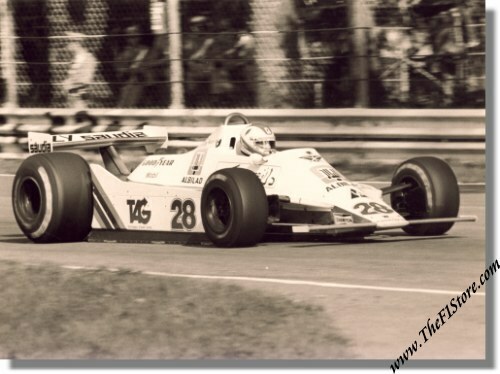 This is a vintage & original photo of Clay Regazzoni his # 28 Williams Ford FW 07 en route to 3rd overall in the 1979 Grand Prix of Italy at the Autodromo di Monza. Clay finished third behind the Ferraris of Jody Checkter and Gilles Villeneuve. It measures some 9.5 x 7 inches (24 x 18 cm) and is black & white.